Here are a few studded items that Charmaine and I have made ourselves. 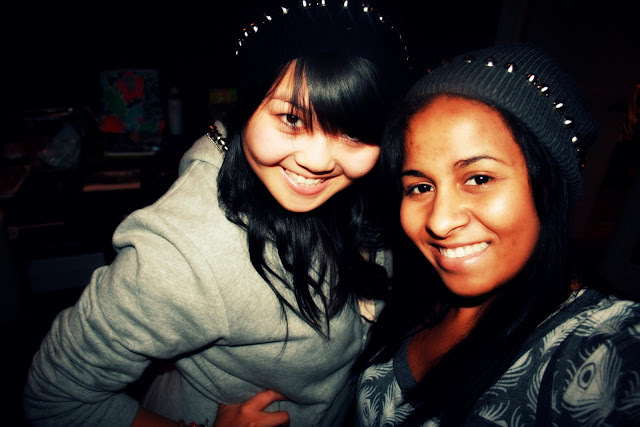 In the first few pictures are our studded hats, secondly is my studded bracelet. Lastly, is the studded hoodie that I made last summer. 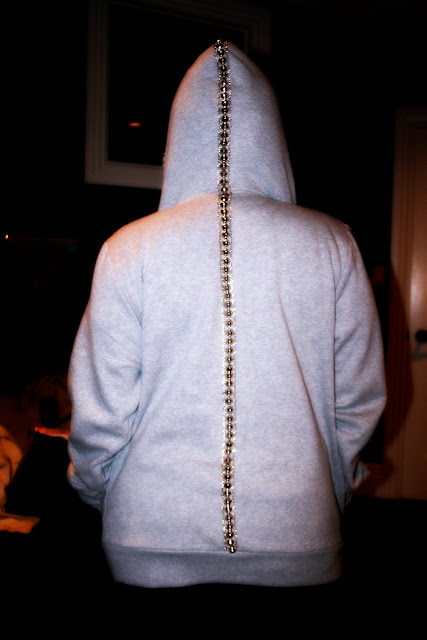 We found this amazing DIY hoodie idea over at Maison des Rêveries. Maison des Rêveries is a great blog, full of food and fashion; check it out if you haven't already! that hoodie is off the hook! what an amazing job!! ps - if you get those wedges i need an update complete with pictures. don't forget your neck brace though. just in case. har! omg, I love that hoody! gotta make one myself! Awesome! Thx so much for your comment hun! 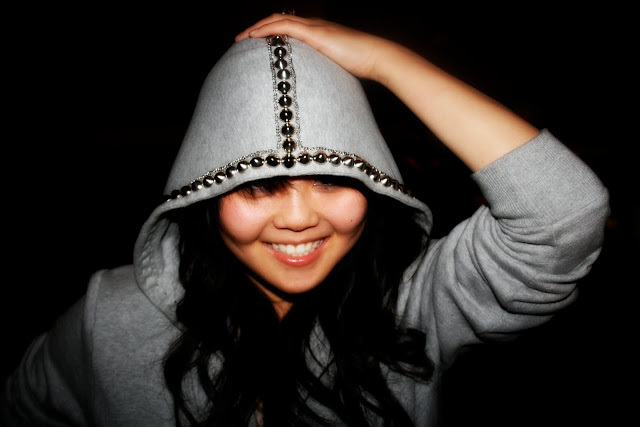 i looovveee those studded details on your hoodie ! That studded hoodie is freakin amazing! Fantastic job! 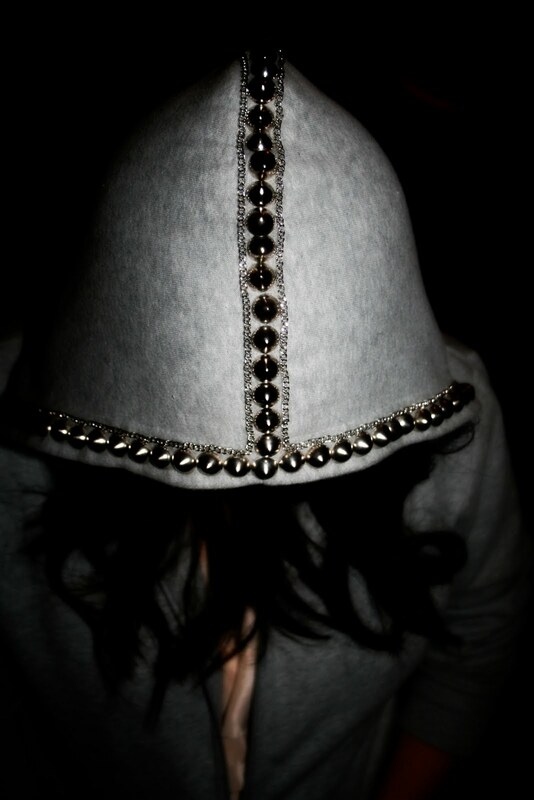 I adore studs and I've never seen them on a cap until now - it looks great! Great idea ladies! I have the stud fever too! All of this stuff you made is absolutely stunning ! I want it all ! 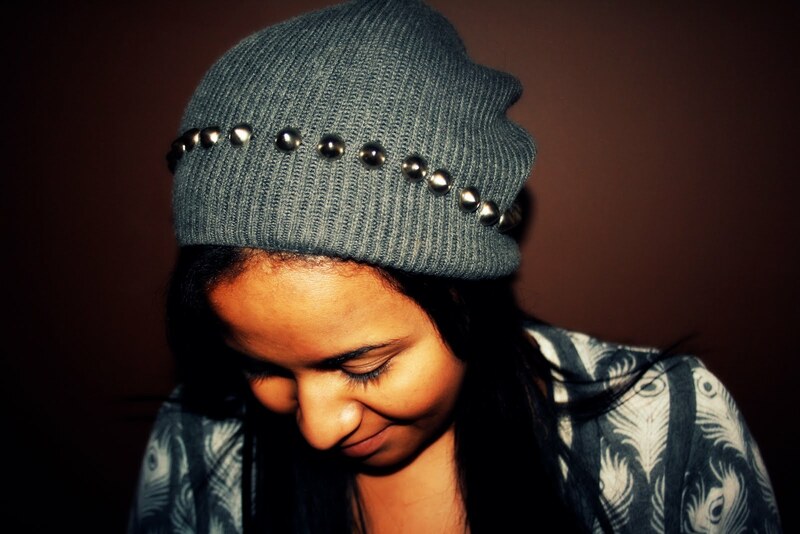 i'm feeling that studded hats.. so cool. very cool! been meaning to get some studs for awhile and get stuck into some DIY... you've definitely inspired me! Thanks for the comment and cute blog! Not one not two but THREE amazing DIYs! I was blown away by the first not to mention.. I'm not sure I have the patience for the hoodie but maybe the beanie and bracelet! Wow you've got skills girl! Your DIY stuff is amazing!! 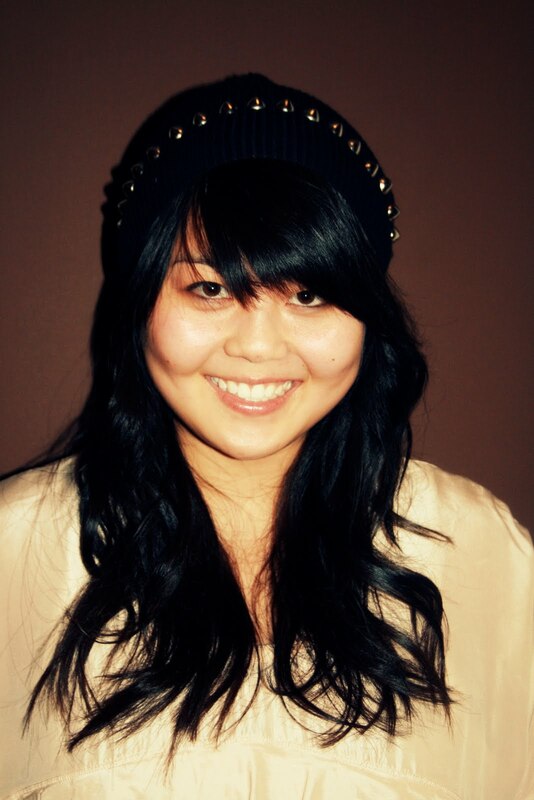 Im gonna have to check it out because I want a studded hat like yours! I'm in love with that studded sweater. It's fab! This hoodie is WOW ! OMG I love these!! Im obsessed with studs! Ive been really wanting to stud some things of my own! This is great inspiration!